Central Theme: The key to submission is humility. I. Tell the story Jesus washing the disciples feet found in John 13:1-17. 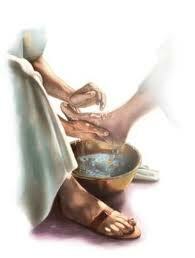 A. Jesus washed the feet of the disciples. B. It is true that he took the place of the servant but the disciples had to let him wash their feet and that took humility also. C. Submission means that we are to humble ourselves to let others help us. II. As Christians we get pretty good at being a servant. A. This story teaches us that we should let others help us,also. B. On a TV show, people who were living on welfare often talk about the check they get at the first of each month from the Government as their salary. C. Submission sometimes means that we need to let other people help us. III. As people with disabilities, we think we are pretty good at that but are we? A. Often we want to get the upper hand by pointing out the mistakes of others to them. B. We sometimes laugh at people who are doing things for us. C. These are defensive things we do but we need to learn to say, “Thank you“ and to submit to people who help us. Conclusion Part of submission is to be humble when we are serving others and when other people are serving us, too. Central Theme: Jesus is the foundation and stability in my life. Introduction–I told about putting when I laid a patio in my side yard. It had to have a firm foundation. Read I Peter 2:4-6. I press the soil. Then I put down tar paper and rabbit wire. I prepared the soil by wetting it down again and again and pressing it with a blunt, heavy instrument. These two steps were the most important things about putting the patio down. C. It is important that the church have a good stones. II. I found that there was a problem with my stones. They were sand stones and they were too weak for a good patio. I had to put in wire and mortar to hold it firm and steady. Central Theme: Becoming a Christian is personal and Jesus deals with my problems as an individual. Introduction–Everyone in a family is different. All families are incompatible. That is, all families have problems with each other. They are not able to get along with each other. Because we are all very different. I. Have a member Read Luke 11:39-40A. A. Tell about Mary and Martha. D. Mary chose to listen to Jesus. E. Martha chose to work for God. G. Martha‘s heart was not right. II. Jesus said that he did not get involved in family fights. A. Because each person stands before God on his own. 1. Children are not punished for the sins of their Dad. 2. God deals with each person one-by one. 3. I learned to deal with my children one at a time when there was a fight. A. There was always a little wrong on each side. III. God wants to deal with you–not your neighbor or family..
A. Mary‘s heart was right that is why he commended her. B. What if the situation had be reversed with Martha and Mary. 1. Mary would have been rebuked because God doesn’t have favorites. He deals with each person in the way they need help or correction. C. They were a family like yours. Conclusion–God wants your heart to be right with him, even though you live in a family or with a group of people. Central Theme: God is able to help me even when I am tempted to do wrong. Introduction–My younger grandson is always planning what he is going to do next. You can see that he is sometimes planning to do bad things. 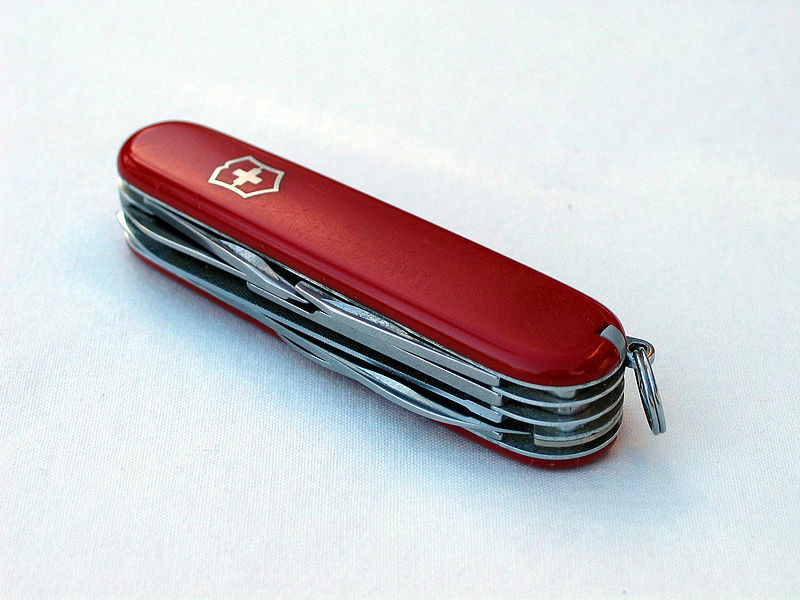 One time he said to me, “Grandma, take this knife away from me so, I can’t play with it.” Being tempted to do wrong is not a sin. Doing what is wrong is a sin. But often, we think if we think about doing something we have sinned. I. Have a member read I Corinthians 10:13. A. Tell the story of Jesus‘ temptation. B. Jesus had gone away to pray and be with God when he was tempted. C. He was doing the right thing. II. When the devil came to tempt him, he offered him some exciting things..
A. First, he know Jesus was hungry so he offered him bread to eat. 1. Jesus refused and answered him with a scripture verse. 1. Jesus refused and answered him with a scripture verse..
III. God helped Jesus remember the Bible verses he had learned and he knew what was the right thing to do. Conclusion: God will help you to be able to what is right. Central Theme: Jesus gave everything to us and he wants us to love him. Introduction–When we evacuation to the mainland for Hurricane David many years ago, each person in the family could take one thing. Leah’s coat, Carol’s doll, Mark’s surfboard, Frank‘s calculator, my typewriter. Each of us had something precious that we want to take. What is precious to you? Have a member read Mark 12:30. I. Tell the story of the rich young ruler and Jesus. A. He thought he was clean and pure. B. But he wanted more of the Lord. C. He could not get rid of his money so he left Jesus. II. How will we show Jesus that we love him? Here are some things we can do. A. Doing those things that keep us pure. 1. Remain pure with our girl/boy friend. B. Obey God‘s rules because they will insure that we will have a happy life. C. Tell him that you love him. D. Work toward having Jesus as your friend. 1. Friends spend time together. 2. Friends talk to each other. 3. Friends help each other. 4. I have a good friend who is in trouble but she is my friend and I will help her. A. As the world becomes more and more disabled we can help others because we have lived in disabled bodies for many years. 2. We can help older people who are having to adjust to a new way of living. Conclusions: We are to love Jesus by allowing him to have and use the things we hold dear.